Studies have shown that if this acidic overload happens over a longer period of time, it can lead to various health conditions, including kidney stones, muscle degradation, reduced bone density, and even arthritis, diabetes, and cancer. 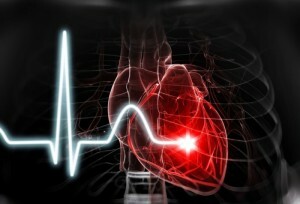 All of these can be traced back in some way to an acidic inner terrain. A 2014 study, published in the European journal Diabetologia, involved tracking more than 66,000 women over the course of 14 years. Compared to women who ate an alkaline diet, participants who consumed high-acid diets showed a significant increase in developing type 2 diabetes over the course of the study, according to the results. An acid-forming diet with low vegetable intake is also linked to an increased risk of metabolic syndrome. But it’s not just the food we eat that can cause an acidic environment. Our body creates acid by using muscles, breathing, and digesting certain foods. Other factors can be stress, toxins, a polluted environment, tobacco, lack of sleep, or medications. If you want to know whether you’re more on the alkaline or acidic side, you can easily test that at home. Simply get some test stripes at your health food store or online which you can use for either your saliva or urine to show you the results. Literally billions of cells in your tissues rely on an alkaline environment to function properly, prevent cellular damage and fend off pathogenic microbes. So what happens when you eat an alkaline diet? This doesn’t mean that all we should eat are alkalizing foods. 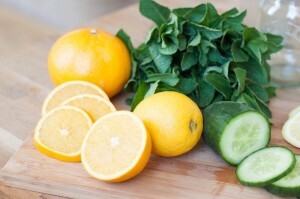 It’s very commonly advised to opt for a balance of 80% alkaline-forming food and 20% acidic-forming food. You can take a look below and choose from the lists – just remember to keep acid-forming foods to a minimum. 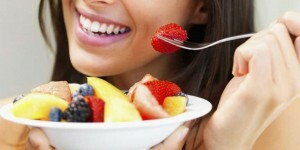 All Fruits like Melon, Apple, Berries, Grapes, Lemon. Some are slightly acidic, like Blueberries, Cranberries, and Plums. 1. Drink a lot of water to flush your system and support natural detoxification. Extra points if you add lemon to it – remember that acid tasting food doesn’t automatically mean it’s also acid forming! After waking up, drink a huge glass of water. For more alkaline effects, add some apple cider vinegar to it. 2. Combine alkaline foods in a meal with foods that are acidic to create a good balance and focus on foods that are high in potassium like lemons or bananas. 3. Choose fresh, organic, GMO-free food whenever possible. 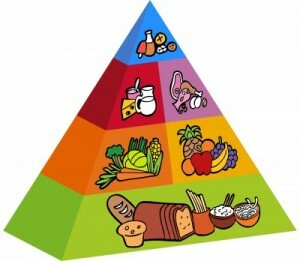 Also, look out for minerals to help your body neutralize acid wastes (organic foods have a higher nutritional content). 4. Stay as close to the natural state of a food as possible, meaning eat it raw or steamed as opposed to frying it. 5. Make salads a staple in your meal plan. Leafy greens are the most alkaline foods and also rich in vital micronutrients. Use spinach or kale for best results, the darker the better. 6. Foods like whole grains or some legumes are not alkaline forming, but also offer nutritional benefits and are a part of a healthy diet – so you should eat them along with your alkaline foods. These are grains like oats, millet, spelt, or buckwheat as well as beans and lentils. 7. Replace animal foods with vegetable sources of protein, such as tofu, beans, or broccoli. These are a lot more alkaline-forming. 8. Incorporate more fruits and veggies into your diet by snacking on them, making fresh smoothies or green juices. 9. Try to eat some carrots, cauliflower, broccoli, eggplant, cucumber, potatoes, or celery every day. Soak and sprout your nuts and grains for more alkalinity. Eat slowly and chew every bite around 30-40 times. Be careful not to overeat and overload your system. Make meditation a habit & do some deep breathing exercises to reduce stress. Throw away your chemical-filled shampoos, cleaning products, or air fresheners. Try to find and use natural products instead with only minimal ingredients. Go for a walk or work out, since it helps to move acidic waste products in order for your body to better eliminate them. Extra points for getting some sunshine. Baking soda can also help neutralize the acid and help the body to maintain pH balance in the urine and bloodstream. It is also very useful for relieving heartburn or acid indigestion. 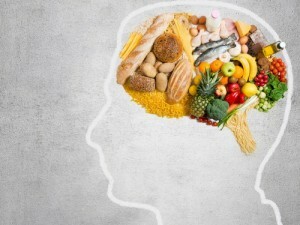 Healthy eating is about more than the food on your plate it is also about how you think about food. Healthy eating habits can be learned and it is important to slow down and think about food as nourishment rather than just something to gulp down in between meetings or on the way to pick up the kids. Eat with others whenever possible. Eating with other people has social and emotional benefits particularly for children and allows you to model healthy eating habits. Eating in front of the TV or computer often leads to mindless overeating. 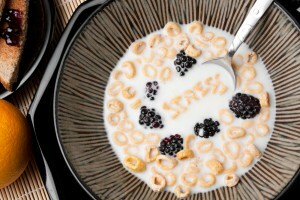 Eat breakfast, and eat smaller meals throughout the day. 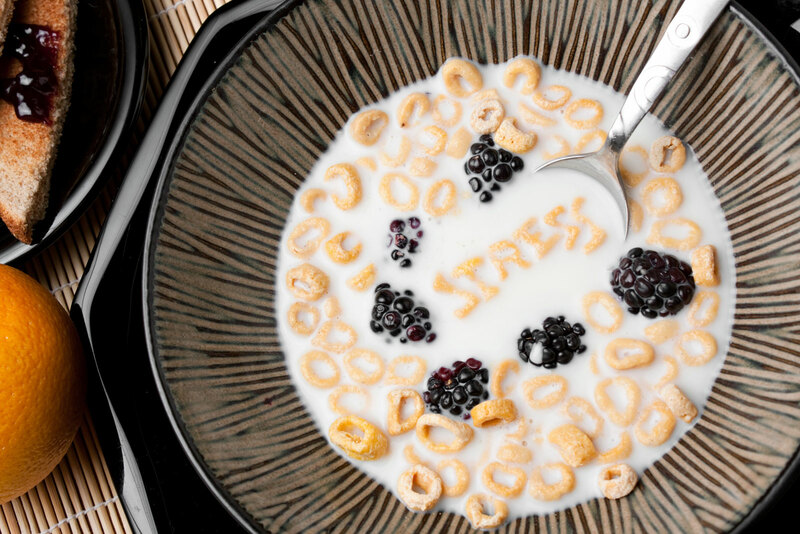 A healthy breakfast can jump start your metabolism, and eating small, healthy meals throughout the day (rather than the standard three large meals) keeps your energy up and your metabolism going. Avoid eating at night. Try to eat dinner earlier in the day and then fast for 14-16 hours until breakfast the next morning. Early studies suggest that this simple dietary adjustment eating only when you’re most active and giving your digestive system a long break each day may help to regulate weight. After-dinner snacks tend to be high in fat and calories so are best avoided, anyway. 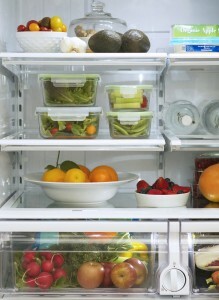 How your refrigerator can help you with weight loss? Healthy eating and staying fit has to start from your home don’t expect it only from the gym or the exercise. There are many changes you can make in your home that not only make living a lot easier for all family members, but will make your home an assistant in your weight loss endeavor. Right now we will focus on the kitchen. 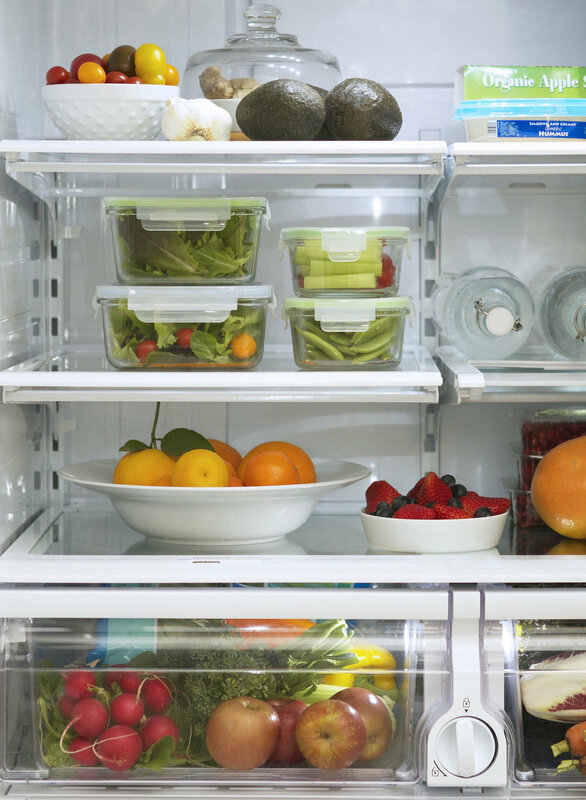 One of the first changes you should tackle is your refrigerator. Focus on what you put on the middle shelf. The middle shelf is the first place our eyes go when we open our fridge door. Let’s make sure you spot the food that will work for you and not against you. That’s where you should store single serving sized containers filled with cut fruits, veggies , boiled egg , boiled peanuts , boiled chana / rajma . If you are into making your own 100 calories snack packs, the middle shelf is a good home for them also. Of course, this is going to leave you with some items that need storing elsewhere. If you or your family members just cannot stand the thought of giving up those sugary or high energy drinks, store them in the lower vegetable drawer. That way they are out of sight. It’s important to make as much room as you can for healthy, unprocessed food. Single serving containers sure make life easier for us. Keep at least 6 single serving sized containers of protein. Go even further, if you like, by using a color coded system. Green containers are for veggies, orange are for fruits, maybe yellow for low fat dairy. We even have the option to use those tiny containers for items like salad dressing, condiments and such.There’s no denying that those cute containers can make life easier. There are many more ideas for streamlining your home into your own weight lose assistant. Don’t get overwhelmed by taking on too much at once. Make one change or modification at a time . We encourage you to make changes in your kitchen to make your life and dieting easier and more enjoyable. Go on, you can do it. When you are mindful you are fully present, in-the-moment without judgment. When it comes to eating, mindfulness helps increase the volume of your body’s cues so you can hear loud and clear when you are hungry and full. Many social and environmental factors can stand in the way of being able to accurately decode your body’s feedback. Mindfulness helps you break free from routine eating habits by examining the thoughts , feelings and internal pressures that affect how and why you eat (or don’t eat). What did you have for breakfast? Be honest. Many people eat the same thing day in and day out. Notice whether you are stuck in any kind of rut or routine. Did you ever eat an entire plate of food and not taste one single bite? Bring all of your senses to the dinner table. Breathe in the aroma of a dish . Notice the texture on your tongue. Truly taste your meal. Experience each bite from start to finish. Just because you think, doesn’t mean you have to act on them or let them sway your emotions. Negative thoughts can trigger overeating or stop you from adequately feeding your hunger. Remember: A thought is just a thought, not a fact. Friends provide an enormous amount of support, but often it’s helpful to obtain assistance or a second opinion from a trained professional. Small changes can make a big difference to your health. 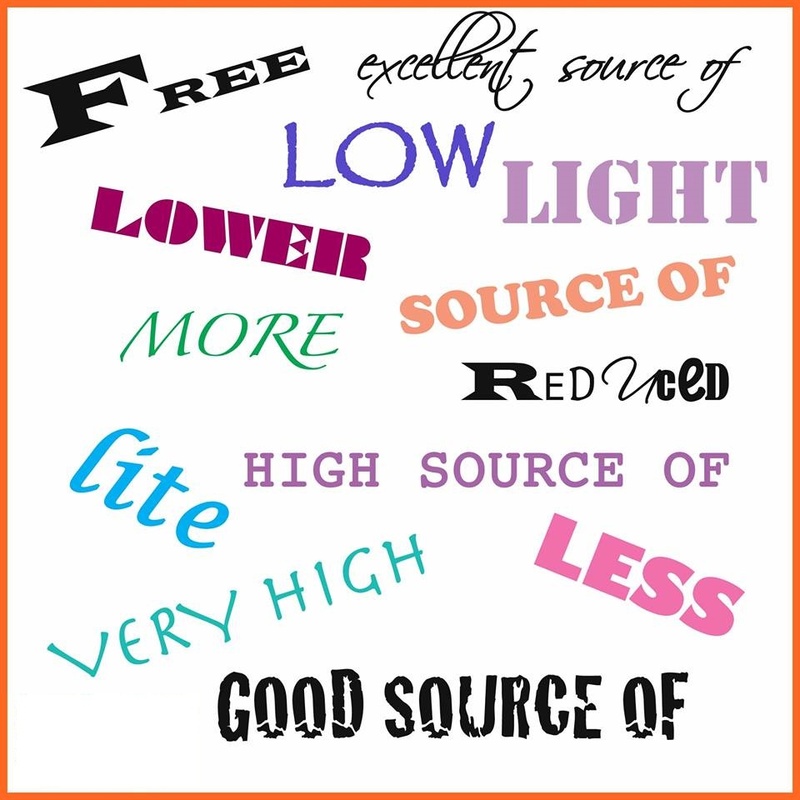 Switch to fat-free or low-fat: Both have the same amount of calcium and other essential nutrients as whole milk, but fewer calories and less saturated fat. Choose a variety of lean protein foods: Meat, poultry, seafood, dry beans or peas, eggs, nuts, and seeds are considered part of the protein foods group..
Cut back on solid fats: Eat fewer foods that contain solid fats. The major sources are cakes, cookies, and other desserts; pizza; processed and fatty meats (e.g., sausages, hot dogs); and ice cream. Are you one of those people who exercise consistently and never see’s results? There are many people like you struggling and scratching their heads as to why the exercise makes s0 little difference. You aren’t eating clean. No amount of exercise will reshape your body without appropriate nutrition. Picture a mountain peak, its jagged beauty and sharp lines softened by blanket of thick snow. You can’t see any of the rocky details underneath the snow. It’s the same as the human body. Take a look at your stomach, you legs, arms or shoulders. A layer of fat obscures any muscle definition you may have, just like the snow of the mountain. Long comes a blistering hot sun whose energy melts the snow from the mountain. Sure enough jagged details come into view. The same is true of the clean energy you consume. The blistering fuel from superior foods such as complex carbohydrates, lean protein, fruit and vegetables melts away fat and soon your muscular definition comes sharply into view. That is the beauty of clean eating. Clean eating consists of eating five oer six small meals every day. eat your meals every two to three hours with combination of lean protein and complex carbs at every meal. 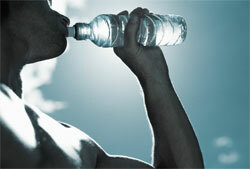 Drink at least two liters (or 8 tall glasses) of water each day. Never miss a meal, especially breakfast. Carry a cooler (lunchbox) loaded with healthy clean foods. Avoid saturated, trans fats, sugar loaded colas and juice. Consume adequate healthy fats(EFA’s) each day. Avoid alcohol (another form of alcohol) and all calorie-dense foods that contain little or no nutritional value. Depend on fresh fruits and vegetables for fiber, vitamins and enzymes. Lasty stick to proper portion sizes and no super sizing of your meals. These clean eating principals will give you result as you continue on your fitness journey of training smarter and not harder thus giving you the results you have worked so hard to achieve. It is a good idea to drink only water or calorie-free drinks like tender coconut water , butter milk whenever possible. Sugary drinks and juices may have hundreds of calories, and they don’t make you feel any fuller. 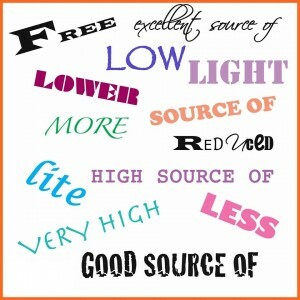 In essence, drinking them does nothing for you except quench your thirst and add calories to your count for the day. u regular, flushes out toxins, boosts your metabolism, and improves organ function. So if you have trouble drinking adequate amounts of water jazz it up with a squeeze of lemon or a little cranberry juice to add flavor. Many of us don’t like to drink water or get bored with water. It’s just one of those things we have to learn to like for our health if nothing else.